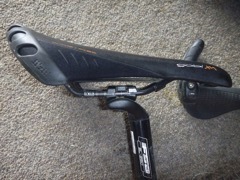 T-MAR Dropper Seat Posts back & Front. The old FSA 250 pictures below was mounted for Gary at about 240-245mm from insert to bottom of seat rails. 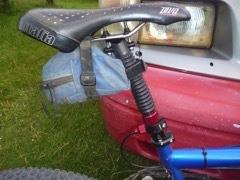 I had lowered it about 30 mm when I arrived in NZ to 215mm to underside of seat rails. Annette's was set (and seized) at 200mm. With the Dropper posts there was 3 positions, supposedly zero (lowest) 55 and 110. I measured this at 0, 55, 113. 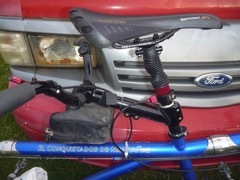 Anyway I mounted Annette's with the high position at 200 (insert point to bottom of seat rail) so mid was 142. I mounted mine with the middle position at 217 which gave a low of 162. The new dropper posts did not have a 20mm setback like our previous seat posts so as both our seats were mounted well back this inevitably resulted in our seats being moved forward. 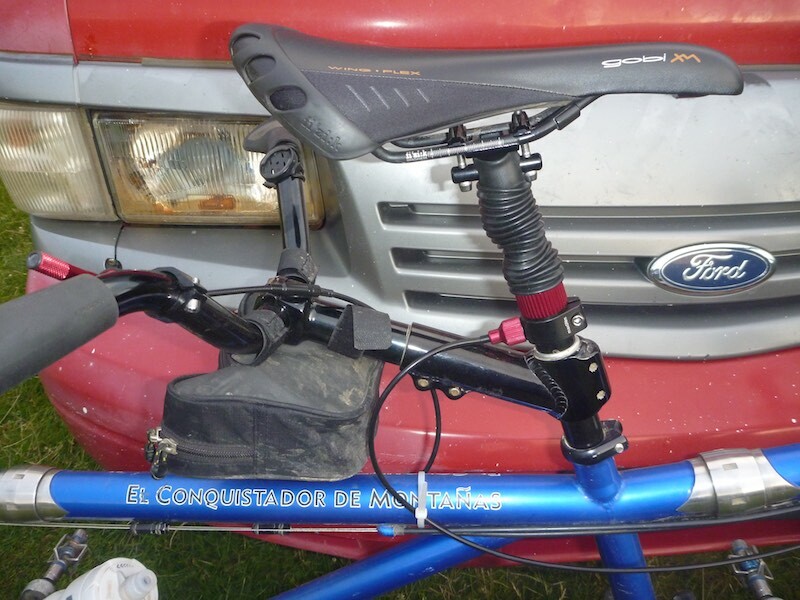 Both seats are now mounted as far forward as possible on the TMAR dropper posts. I estimate that as a forward movement of: Gary: 10mm forward; Annette: 20mm forward.